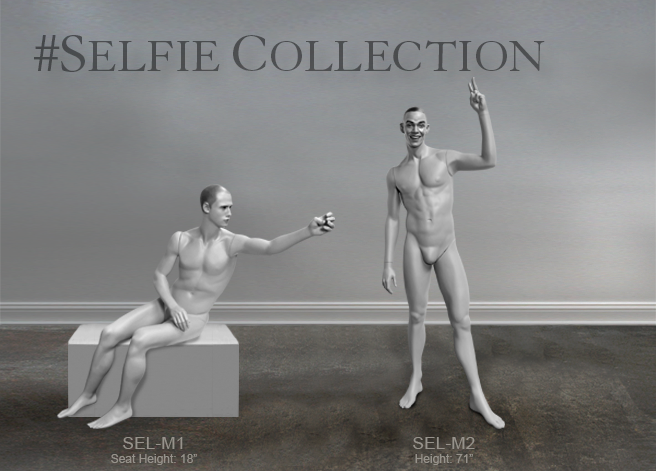 All the cool kids are taking Selfies! 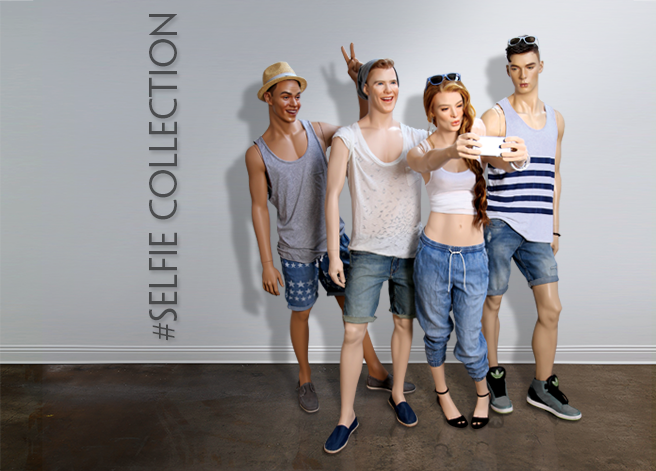 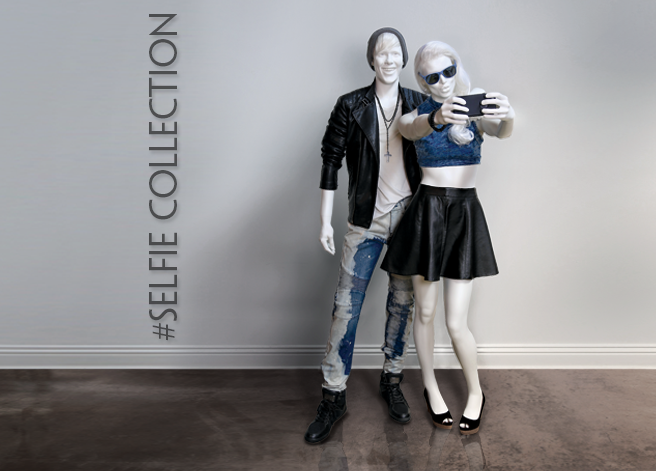 Designed to mimic the selfie obsession of the junior market, these mannequins are ready for their close-ups. 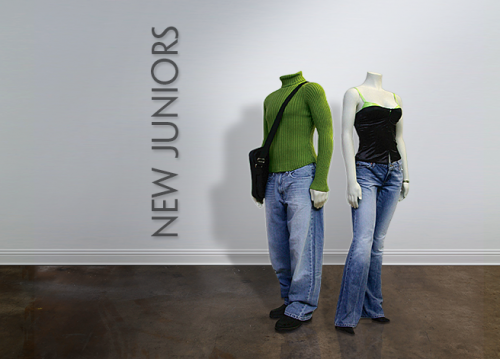 Multiple grouping options provide a fun and lifelike visual experience to display the latest of Generation Z trends. 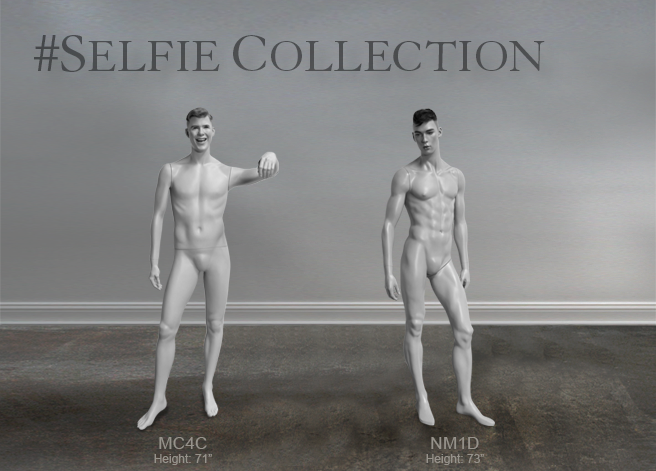 Shown with realistic heads, this mannequin line is also available with abstract heads, for a uniquely effective experience.